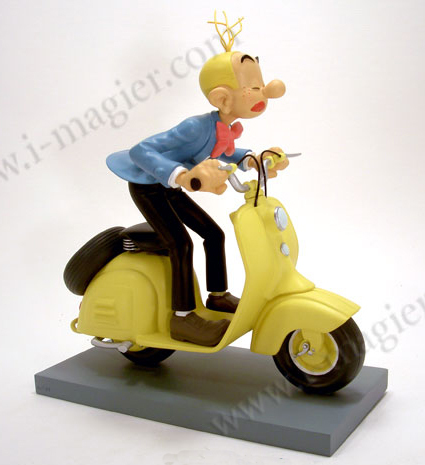 A Figurine for the Francophile. 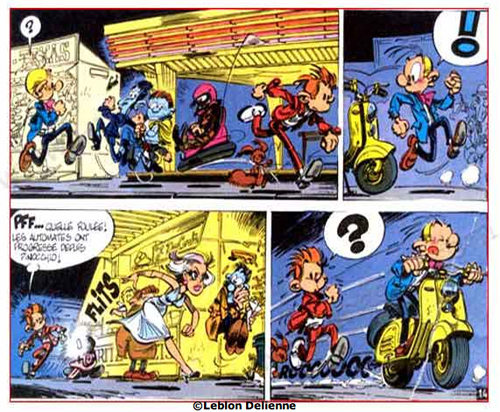 Spirou was created in 1938. A bellman who eventually morphs into a sometime reporter, according to Wikipedia, he is “A honest and brave young man of indeterminate age, he tries to fight injustice around him and help people.” And we also know he likes to race scooters. This figurine measures almost 8″ tall and costs 179 Euros. 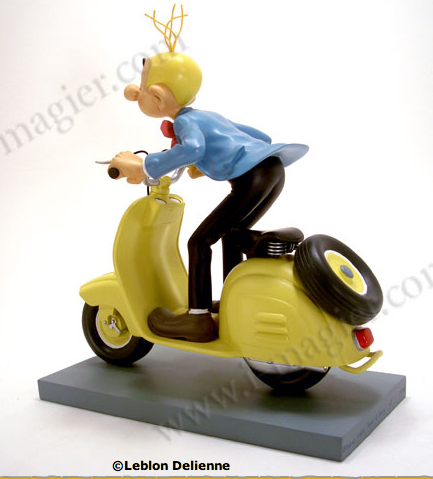 This entry was posted in Models, Figurines, Toys and tagged figurine, model, scooter, spirou, vespa by Tracy. Bookmark the permalink.